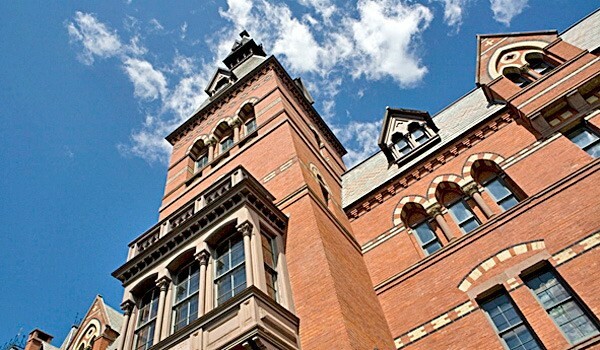 The Johnson Cornell MBA, with strong employment statistics and support, boasts of a rich student life too. GyanOne interviewed Saniya Gandhi, a current student at the Johnson Cornell MBA program, to get her first-hand perspectives on Cornell MBA student life. Saniya also shares her perspectives on the Cornell community, studying in Ithaca, and academic specializations such as Real Estate that can be taken up as part of the Cornell MBA. 1. As a quick introduction, please share your brief background and your motivation for choosing Cornell for graduate management study. What was the major factor that made you choose Johnson for your MBA? I was born and raised in Bangkok, Thailand. Prior to Cornell, I was working for my family’s new real estate development company focusing on hotel development and before that I completed by undergraduate degree in economics at the University of Chicago. I chose Johnson because of several reasons including the small class sizes, curriculum, and proximity to the hotel school. The small class size has helped me develop strong relationships with my classmates and given me the opportunity to learn from them. The Johnson curriculum allowed me to establish a foundation in areas that I was not familiar with through the Core, and then after the core I had the flexibility to tailor my courses through the customized immersion. Because my focus is on real estate and hotel development, I take a lot of classes both at the hotel school and at the Johnson school. I also plan on pursuing the Graduate Minor in Real Estate offered by the Baker program. 2. What are the resources available at Johnson for people with a consulting background to pursue opportunities in other areas? How can one leverage the resources of other schools to pursue niche specializations such as Real Estate? As I mentioned in earlier questions, Cornell has a huge variety in the academic fields it offers. Real estate is no different. The customized immersion that I mentioned allows for students to tailor their curriculum to suit these niche specializations. Not only do students get to take classes at other schools, but they also can take part in clubs, organizations and events. As a student interested in real estate, I participated in the annual Cornell Real Estate Conference, which I think it is the largest university-led real estate conference in the US. These conferences and other events provide excellent networking opportunities for students that are pursuing an industry that is mostly off-campus. The career management center also has advisors that specialize in niche fields such as real estate, and they are also a great resource. 3. What is the level of support you have received at Cornell to pursue the right professional opportunities? From pursuing internships to networking, what are the key enabling resources at Cornell to chase your dream job and career? I have received a lot of support from the career management center, Cornell alumni who have been very responsive, and Johnson second year students. There are also career work groups that every first year gets assigned to, and these are led by second year students with the same career interests. Second year students provide insight into the internship recruiting process and become a great resource and help to first year students. Professional student organizations are also a great resource to get access to interview guides, networks, etc. I have also reached out to professors in real estate and they have helped me prep for interviews. There are many resources that students can take advantage of. If a student wishes to pursue a more niche specialization, it is important to know that their search is likely to be more off-campus (meaning that job postings wont always come through the career center). Off-campus recruiting requires a lot of networking, reaching out to alumni, career advisors, students, and professors. 4. How integrated is the Cornell student community? What are the key events and community experiences that are part of the Johnson MBA? The Cornell student community is extremely close knit. Even though Cornell is a large university, the students here have a deep appreciation and bond with the university. As I am pursuing real estate, most of my career search has been off-campus and I have reached out to a lot of Cornell alumni (not just Johnson) in the process. I have received replies from almost all of my emails, which is amazing and very encouraging. The Johnson school is a small and close community. Professors and students know each other well. We have weekly socials, called Sage Socials, and professors, students and faculty get together for a couple hours to socialize. It’s always a lot of fun and really strengthens the Johnson community. Johnson international treks have also received great reviews and are opportunities to explore interesting parts of the world with a group of students. We also have treks offered through immersion programs and clubs, such as the Silicon Valley trek, Week on Wall Street, etc. 5. How intense has the Cornell experience been? Outside academics and the business learning you have gained from the curriculum, what have been the key learning opportunities for you as a Cornell student? The core (first semester) is definitely very intense, especially the schedule and course load. However, the core is an extremely rewarding experience because it is a great introduction to basic business concepts and provides the opportunity to bond with classmates. I am currently pursuing the customized immersion, and that has been really great. I have the flexibility to take the classes I am interested in and that will benefit my career. Some of these classes are outside of Johnson, and have given me the opportunity to meet other Cornell students and learn from other professors. I am also pursuing an independent study with a hotel school professor. Cornell offers expertise in so many different areas that it is truly an incredible experience to be here. There are so many people to learn from and constant opportunities to be exposed to different career paths. Since my time here at Cornell, I believe that I have grown tremendously as a leader. The emphasis on leadership in every aspect of the Johnson school enables students to develop and understand what it means to be leader. I believe that this is one of the key learning opportunities for students pursuing their MBA at Cornell. 6. How has the experience of living and studying in Ithaca been? Has being away from business hubs and big cities been a disadvantage in any way or do you feel it has added to your overall learning experience? Ithaca is a beautiful town, and a great place to be to study! The weather can get very cold during the winter months, but outside of that it is absolutely beautiful in the summer with a lot of things to do. Ithaca is close enough to NYC that it is not an inconvenience. The Cornell Campus2Campus is extremely convenient – there are three buses that leave Ithaca to NYC every day (non stop) and back from NYC to Ithaca. Overall, I think that Ithaca achieves a good balance of being close enough to a major hub but far enough to maintain the college town feel. It has definitely added to my learning experience and allowed me to get to know and spend time with my classmates. 7. What is your future plan and how do you hope to be associated with Cornell after you graduate? I hope to pursue hotel development/investment. Based on my internship experience, I will be able to better judge if this is really the field I want to be a part of. If not, I will use my second year to better understand what aspect of real estate will be a good fit. After I graduate, I definitely want to be an active alum and give back to the school as much as possible. Specifically, I want to provide assistance to students interested in niche specializations. Excellent article on life at Cornell Johnson. This program is top of my list for Fall 2014. Gyanone – what do you think are my chances at 740 gmat and 4 years of consulting experience (Indian female candiate)? Thank you for a very enjoyable read that also has some very useful information on Cornell! Excellent interview on life at Johnson Cornell. With the NYC Tech campus coming up Cornell is a really interesting school. I am 100% certain that the Cornell MBA will grow in rankings this year.